Mount Malindang Range Natural Park (MMRNP) in Misamis Occidental, Philippines was declared as one of the new ASEAN Heritage Parks, during the 13th Informal ASEAN (Association of Southeast Asian Nations) Ministerial Meeting on Environment held recently in Cambodia. This was after MMRNP qualified and met the criteria that included ecological completeness, naturalness and high conservation importance. Further, this also came about from the endorsement of Mt. Malindang to be nominated and included in the consideration as an ASEAN Heritage Park. This was decided and duly endorsed by the Protected Area and Management Board (PAMB) and the stakeholders of MMRNP. Mt. 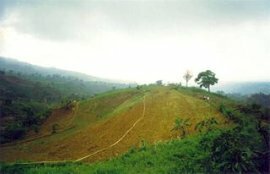 Malindang Range Natural Park (MMRNP) is one of the biodiversity rich areas in the Philippines. It is the home of several endemic species of flora and fauna like the Philippine Eagle, one of the largest and rarest eagles in the world. MMRNP is blessed with numerous waterfalls, supports major river system, provides safe water, carbon sink, climate regulator and clean air for the populace in the three provinces of Misamis Occidental, Zamboanga del Norte and Zamboanga del Sur. The rugged, mountainous features of the park are also ideal for hiking and climbing activities. Likewise, the area holds promise caving activities such as spelunking. Facilities include wildlife observation areas, trekking trails and hospitals for medical emergencies among others. Access to the park is through the municipality of Don Victoriano. You can reach Don Victoriano through jeepneys on regular scheduled routes from Ozamiz City. As a tourist destination, on the other hand, the MMRNP offers a vast area blessed with natural attractions.